All of the woodworking tools & gadgets below I use in my shop and can heartily recommend for your own. I absolutely love this router. Not only because the plunging action is smooth, or because the clear base allows me to see what I'm doing, or because it fits securely in my hands. But also because the dust collection really does work, and very well at that. 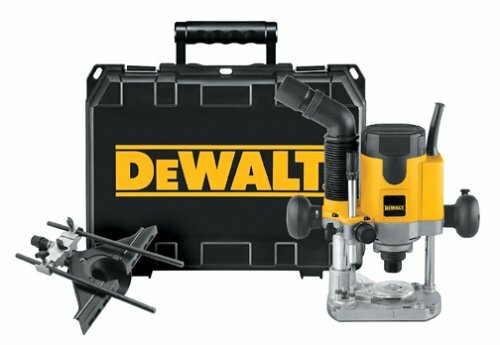 P-C offers dust collection attachments to their routers, but they don't perform as good as this DeWalt DW621. This Bosch 3725DVS random orbital sander is great. The dust collection works well, particularly hooked up to a vac, it's just the right size and weight so as not to tire your arm but still sand aggressively, and the H&L Velcro sanding discs are easy to change. The rubberized and well-designed grips feel comfortable as well. It's a winner! 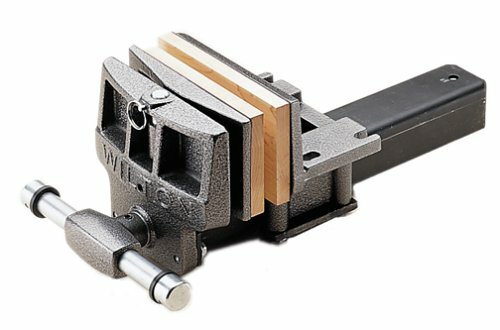 This woodworker's vise by Wilton is solid, quick to adjust, pivots to accommodate angled objects, and has a pin that can work with bench dogs to clamp objects down on your workbench. The spindle is enclosed, it's built like a tank, and you'll be passing it down to your woodworking grandchildren and beyond. Made by General Tools, this 143 Digital Caliper is just great. It'll measure depth, step, inside and outside diameters with precision, and can measure in metric as well as inches. It's really a great value and heck of a lot easier to use than those manual calipers of old. 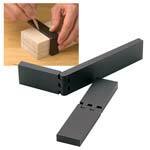 This marking gauge uses a wheel to cut a crisp line for accurate layouts of tenons and mortises. Unlike other marking knives and gauges, this one won't follow the grain. It just feels good in your hand and works quite well. The Forrest Dado King does for dados what the Forrest WWII blade does for regular cuts. You can't buy a better performer for chip-free, flat dados. With dado sets you get what you pay for and over the life of your saw the price difference between this set and a cheaper set is negligible. Go ahead and make the investment and see if you aren't just entirely impressed. A ruler is a ruler is a ruler . . . unless it's a Bridge City Tools ruler. This ruler's brass hook ensures your measurements are exact from the board's edge, the black coating eliminates glare and its triangular shape eliminates parallax errors and is easy on the eyes. It's affordable too, so go ahead and treat yourself. I wouldn't use any other general wood screw since I have tried these Maxx screws from Rockler. They are self-drilling, self-countersinking, compatible with both square and Philips drivers and are available for both interior and exterior applications. 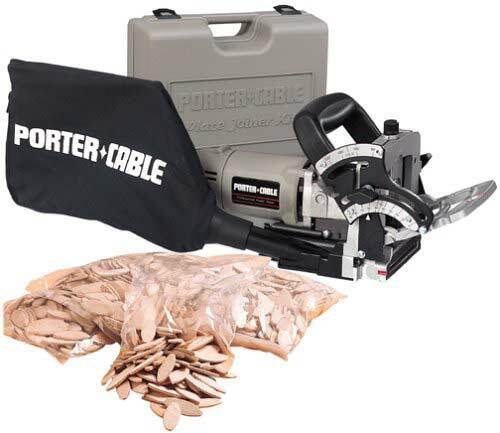 When you're tired of splitting wood, drilling pilot holes and countersinking, you'll pick up a few bags of these. If you own a Craftsman or other contractor table saw with one of those small power switches nearly hidden under the front fence rail, PLEASE BUY THIS SWITCH and replace yours!! It's easy to turn off without fumbling and may just save you from that unexpected trip to the E.R. Sawdust is a serious long-term hazard to your health, so you really need an air cleaner in your shop to catch the finest, and most dangerous, airborne particles. 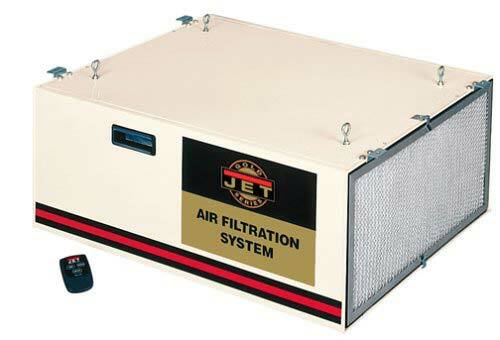 I picked Jet's air cleaner over all of the rest. It runs quietly, has a remote control and 2, 4 or 8 hour timer to keep filtering the air long after you've left the shop. Sure there are a few pretty nice biscuit joiners you can buy, but the Porter-Cable 557 is the best. It's powerful, the bail is attached to the fence, not the motor, and it offers a wide range of cutting angles. Let your LOYL buy you one for your birthday. You've earned it. Nothing does a better job at laying out an exact line around a corner or an edge. Great for laying out mortises, tenons and a variety of other joints. Keep one of these in your apron's pocket and you'll be happy. This is the best glue bottle in the land. 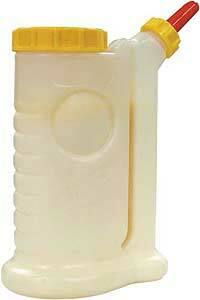 With a no-drip nozzle and vacuum valve, your glue will always be ready to dispense without wait or mess. On-board cap storage means you won't be losing that either. 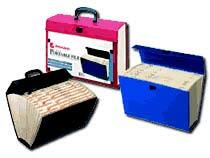 These are ideal for storing sheets of sandpaper as well as random orbital sander discs. There are plenty of pockets for any number of grits, and the locking cover keeps dust from settling in. You'll wonder how you did without it for so long.